Time Out Chicago helps a reader find cool decorative chess sets as an anniversary gift for her husband. 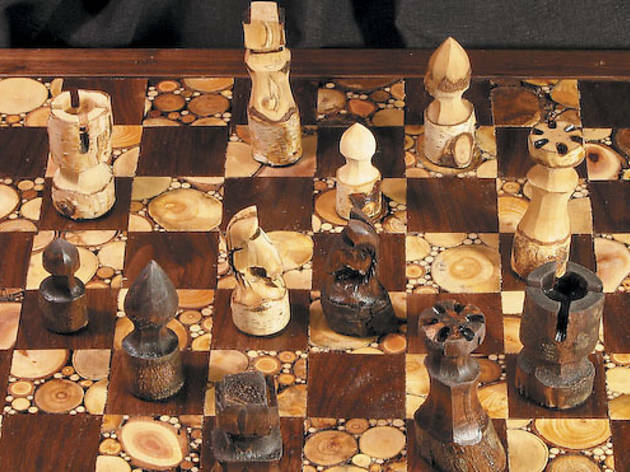 A It’s easy to find a novelty or magnetic chess set—just go to any game or toy store. But finding a cool, decorative one does prove to be a little more challenging—and they might cost a pretty penny. Some of the best ones we’ve seen in an online search are going for around $1,000. But after we looked a little further, we came across a chess set handmade out of walnut ($298 at etsy.com/shop/naturalchess). Not ready to plunk down that much cash? The Etsy shop offers a layaway plan. 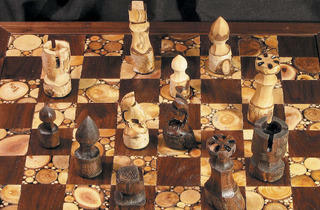 On the more affordable end, we found this chess set carved from soapstone ($32.50 at overstock.com). And if you want to shop local, there’s an oversized decorative chess set (each piece measures between 4 inches and 8 inches tall; the playing board is 3 inches tall) available for $195 at Broadway Antique Market (6130 N Broadway, 773-743-5444). E-mail your shopping questions to shopping@timeoutchicago.com, and we’ll help you find what you’re looking for.